This piece was originally published on Greater Auckland and is reproduced with thanks. Last week I wrote about free fares and as expected, it generated plenty of discussion. The issue of fares is one that comes up quite often and while I think there are more important things we need to address, such as improving frequencies (especially on trains), it’s useful to look from time to time at how other cities set their fares. As part of this I’ve tried to use cities that are relatively similar in size and urban form – i.e. there’s not a lot of point comparing a compact European cities with a century old metro networks moving millions of people daily. I’ve also tried to keep the comparator cities to those with integrated ticketing and fare systems too – there were some systems I didn’t include simply because their fare systems are too difficult to easily explain. I have excluded any special fares, such as additional costs to travel to an airport. Feel free to put the details of other cities in the comments. Auckland’s uses a zonal fare system that charges you for how many zones you pass through on buses or trains. Transfers are allowed for up to 5 individual trips providing you tag on within 30 minutes of tagging off the previous service and complete your journey within 4 hours. 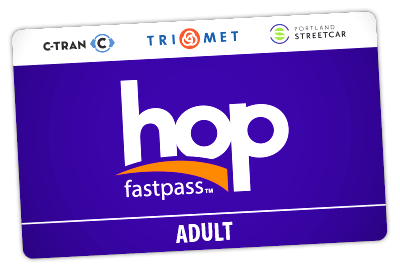 Fares are substantially cheaper if you use a HOP card and there are concession fares for children and students. The SuperGold card gives free travel to holders after 9am or anytime on weekends and public holidays. Travel before 9am and seniors without a SuperGold card need to pay the full fare. The adult prices are shown below. Monthly passes for buses and trains exist but cover the entire region but at $215 they are now only useful for those doing long commutes, generally those commuting every day for 4-zones or more a trip. On top of the bus and train fares are ferry fares which can be paid for with HOP but are not integrated into the overall fare structure. Wellington is our closest major PT comparison city and of all of the comparisons listed here, the only one without some form of integrated ticketing that covers all modes. Wellington uses a zone system that radiates out from the central city but due to the lack of integrated fares, changing between trains and buses to complete a journey requires paying additional fares so is not a zone system like most other cities would consider it – it does work for transfers between buses and other buses but only if using a Snapper Card. For buses there are off-peak discounts if you use a Snapper Card but there are no off-peak discounts for trains but the zone fares are the same price per trip if you were to buy a 10-trip train ticket. I also have to say that the Metlink website was probably the most difficult of the lot to find the information, it was even worse that Auckland Transport’s and that’s saying something. Brisbane’s buses, trains and ferries are run by TransLink and the fare structure covers all of South East Queensland with a zonal fare structure radiating out from central Brisbane. There are quite a few different discounts that people can get. The stored value card is called a Go Card with fares at least 30% cheaper than cash. Travelling off peak, 8:30am to 3:30pm and after 7pm on Weekdays as well as all day on weekends and public holidays is an additional 20% off. On top of this, after you make 8 journeys from Monday to Sunday then the rest of your travel is half price, regardless of the number of zones you travel. Concession fares apply to children, students, seniors and defence force veterans. On top of this, the rules for transfers between services are quite generous with a one-hour time limit which would help make it easier to use PT for errands and short meetings. One thing that’s worth noting is that while there appears to be a lot of zones, it does cover a large area and most of Brisbane’s urban area is within 2-3 zones. As a quick comparison, the adult go card fares for zones 1-3 in NZ dollars are, $3.52, $4.29 and $6.55 respectively. Transperth runs the buses, trains and ferries in Perth and uses radial zones, each with each between 8 and 10 kilometres wide. There is also a free zone for travel within the central city area. Passengers are charged based on how many zones they pass through over a set time, with the time limit depending on how many zones you travel through – cash tickets have the time limit printed on them. There is also what is called a 2-section fare which is for short trips of less than 3.2km and only on a single service. There are no monthly pass options but Perth’s stored value card, called SmartRider, gives a standard 10% discount on fares but if you set it up to automatically top up you get a 20% discount. There are also concession fares for seniors and children. Like Brisbane, Vancouver’s system is also called Translink and uses a zonal fare system with three zones. The exact size of the zones vary, based in large part on the geography but from the downtown area are about every 8.5km. The system is designed so that if you have a pass for a set number of zones but you need to travel more than that, it will only charge you the extra you need for the extra zones. There is also a form of off-peak pricing with all journeys in the region that start after 6:30pm on weekdays and all day Saturday, Sunday and holidays only requiring a 1-zone fare. Calgary runs a flat fare system with adults paying CAD$3.40 ($3.81) for 90 minutes of travel and children between 6 and 17 paying CAD$2.35 ($2.63). Day Pass and Monthly Pass options also exist with adults paying CAD$106 ($119) for the monthly option so is better value if you were to take more than 31 trips in a month. On top of the standard passes, there are special passes for seniors, people on low incomes and seniors on low incomes. The Low Income Pass varies in price depending on the household income of the person/s applying and range in cost between $5.30 and $53 per month. The Calgary Transit statistics page says the average fare in 2017 was CAD$1.55 so this suggests a large number of people are making use of pass options. Portland’s network, under the brand of TriMet, is a mix of buses, streetcars, light rail and some longer distance commuter rail. Ticketing and fares are fully integrated under an adult flat fare of US$2.50 ($3.71) for all travel within a 2½ hour window. Fares are then capped at US$5 per day and US$100 per month ($148), the equivalent of 40 trips. There are separate fares for Children (7-17) and ‘Honored Citizens’ (Over 65, Medicare beneficiaries and riders with a mental or physical disability) which are US$1.25 per, daily capped at US$2.5 and monthly at US$28. There is also an annual pass which is equivalent to 11 months of travel. The system seems to be designed so that after you’ve commute, the rest of your travel is free. Interestingly they have also chosen to call their ticketing system HOP and it was introduced in 2017, about 4 years after Auckland’s HOP card was rolled out. The flat fares are much more expensive for short trips but much cheaper for long trips. At around 10-12km all fares are fairly similar. Auckland and Wellington fares tend to be near the top of the range, especially for longer distance travel. I also made a comparison in which I assumed 42 trips in month (approximately a standard commute) and included pass options. For Wellington I compared the rail pass options. From this you can see that two cities with flat fares come out very well, especially Calgary, while the two that don’t have pass options, Brisbane and Perth, are the most expensive for longer distance travel. Our high fares have a lot to do with the 50% recovery ratio dreamt up by steven joyce and his ptom act. That needs to change. Very little to do with farebox recovery Luke, and everything to do with Auckland’s higher frequencies. In Wellington maximum frequency trains run to Porirua, medium frequency trains run to Plimmerton and minimum (base) frequency trains run to Waikanae. But in Auckland every train runs to the end of the line, which means lots of empty seats further out, which in turn means a greater subsidy is required. AT’s bloated staff numbers, with hundreds on six-digit salaries doesn’t help either. Interesting stuff. I think your comment about Wellington rail fares may be a little unclear. There is an off-peak rate for non-concession adults on the trains, but only with a 10-trip ticket. There is no off-peak cash fare available on the trains. This requires carrying two 10 trip tickets: one for peak travel and another for off-peak travel. There is also an anytime monthly rail pass offering a discount that betters the off-peak 10 trip rate after about 40 trips. All information to be found under ‘Tickets and fares – Train tickets’ on the Metlink website.